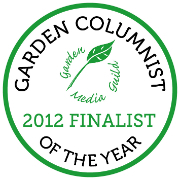 WHAT I DON’T DO… is re-design your garden for you. WHAT I CAN DO… is help you to reorganise your garden and understand it better. I’ll spend a morning or afternoon with you – talking with you and touring the garden. talk though the timing and general logistics of the work involved. Often a fresh pair of eyes and a few tweaks can completely transform a garden, without the need for major expense on landscaping. explain and demonstrate pruning methods. make lists of suggested new plants, and point you in the direction of reliable suppliers. help place and space new plants in new or re-vamped beds and borders, to make sure you give them ample room to grow (rather than overcrowding). Contact me to arrange a visit and/or discuss my rates. These depend very much on the size of your garden and where it is, and what it is you want me to do. I charge an initial (negotiable) fee. Return visits (if needed), accompanied shopping etc. are charged by the hour. 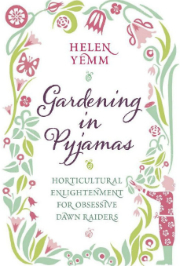 Dear Helen – I have a garden that was laid out 25 years ago and I have fiddled with since. We had a wall put in for privacy from a proposed development next door which necessitated removing all the existing plants in one part and starting again which I have done with modifed success. I don’t really want a garden designer to come and start putting in lots of hardscaping. (I live in a black wooden barn in the Oxfordshire countryside, and feel that many designed gardens around here are too townie) I would love some constructive advice on improvements and suggestions for improving the planting to get it to look better for longer. I have very thin dry chalky soil as I live on the edge of the Berkshire Downs. I live near Didcot, a longish journey by car from Wadhurst, 45 minutes from Paddington. What are your rates fro a visit, and is this the kind of thing you can help with? Re your advice about copper tape around pots containing hostas, I have done this, but inadvisably stood the pots against others without the tape as they contained plants apparently unattractive to slugs or snails. It seems that slugs and snails can jump from one pot to the other, avoiding the copper tape and devasting the hostas. However, some of the hostas seem to be having a second period of growth at the moment which are untouched for some reason. I enjoy your page in the Telegraph every week. Can you please help. My fig tree, re-potted in the spring and about 3 feet tall, has given about a dozen delicious ripe fruits this year. It has now thrown about 100 new baby figs. What should I do about them. My Italian neighbor who claims to be an expert says to remove them all. Is that right? Last year about 15 baby figs survived the hard winter and these are the fruits which developed. Most grateful for any advice. Quite a lot of my plants haven’t flowered this year including anuuals such as Alonsoa, some roses and several other plants.The flowering tips are distorted and holes have appeared in the top leaves. I believe the damage may have been done by Capsid bugs though I have never seen any. If you think this is the case can you give me any advice about what I can do to prevent this happening next year or what else may have caused it. Thank you.